aw.. Lia what a sweet Panda holding a Panda toy.. I would have react the same way if I found out my kids helping friend to do homework too.. I dont mind they do it together and discuss.. but not asking others to do homework on behalf. I think you are right to educate the kids when they are young. 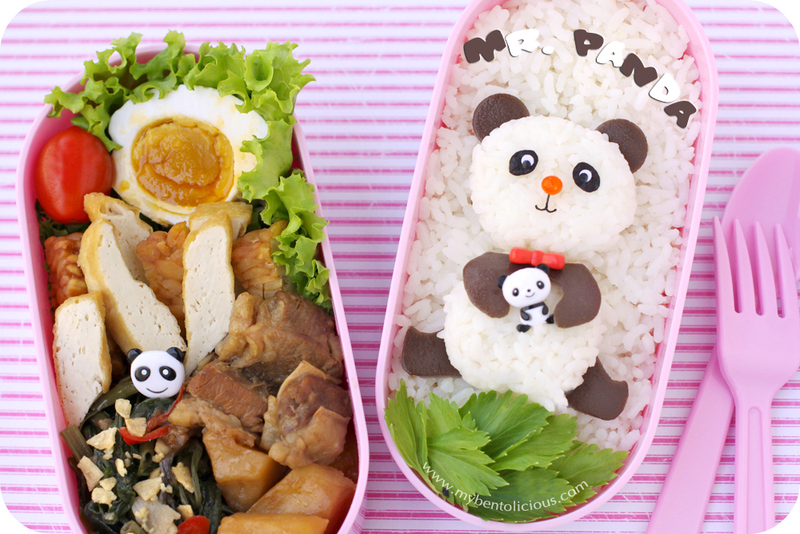 I miss all your cute bentos ...panda chan is kawaii! @Rachel Hei : Thanks a lot Rachel! Did I miss something? Are you moving to the new house?